If you’re ready to replace the windows on your home, turn to one of the leading window replacement companies in the Pensacola, Florida, area – Majors Home Improvement. With Majors on your side, you can count on a top-notch installation carried out by certified craftsmen and energy-efficient windows that will significantly boost the curb appeal of your home and make you the envy of the neighborhood. 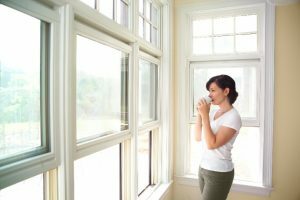 Whether you’re looking to replace windows that are outdated, drafty, or simply hard to clean, our Majors Select™ Vinyl Windows are exactly what you need. They are available in numerous beautiful styles, and you’ll also be able to select from a wide variety of design options, such as exterior colors, interior finishes, hardware, grid and glass designs, and more. We will take every precaution we can to be mindful of your landscaping and pets, so that neither are disturbed while we are installing your windows. We will show up on time and work efficiently to ensure the project is taken care of quickly. We will be in constant communication with you from start to finish, so that you are never confused about the status of your project and can get all of your questions answered in a timely manner. We will walk through your entire property when we’re finished to ensure all of our materials have been cleaned up entirely and your home is in pristine condition. If it’s time for new windows, Let Majors Do It! We would be more than honored to be the window replacement company you choose for this important home renovation. Contact us today to schedule a complimentary consultation at your home in Pensacola, FL, or a nearby city.